Being both gluten and dairy free can make life a little more challenging on the food front at times. One of the biggest things is the lack of bread type foods. 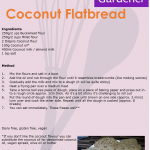 After some experimenting I have created a flatbread recipe that works well for dipping in things or to go with soup. 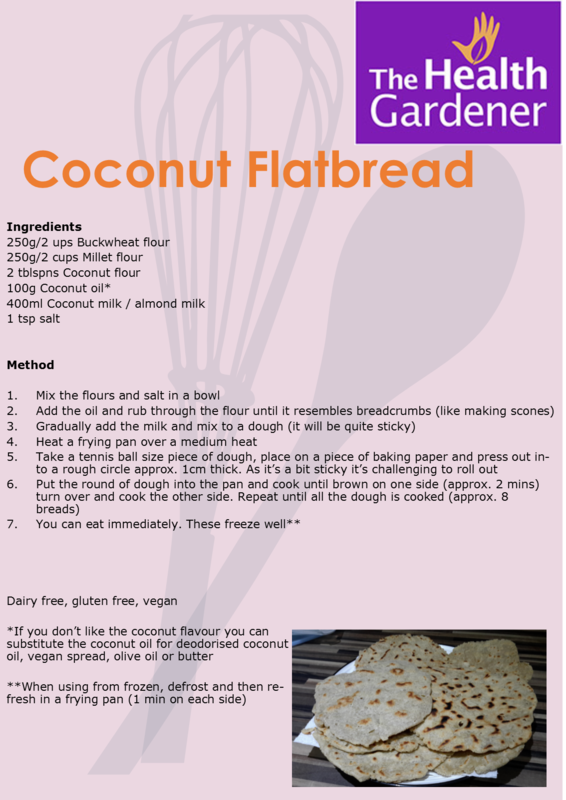 This is very much a flatbread, but you could add a teaspoon of baking powder if you wanted the ‘bread’ to be a little lighter (I haven’t added any). The recipe I have created uses coconut oil, but this could be substituted to olive oil or butter (if you use dairy). You have the option of using either coconut or almond milk, but again if you aren’t dairy free you could use normal cows milk. These freeze well but do benefit from refreshing in a pan before eating.